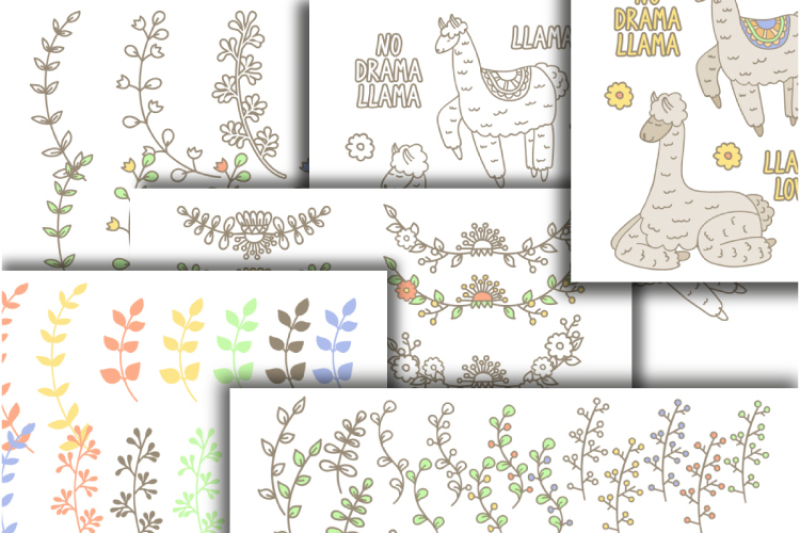 Llama and flowers clipart set. Floral digital stamps. No drama llama. Creator set. Instant download PNG AI. 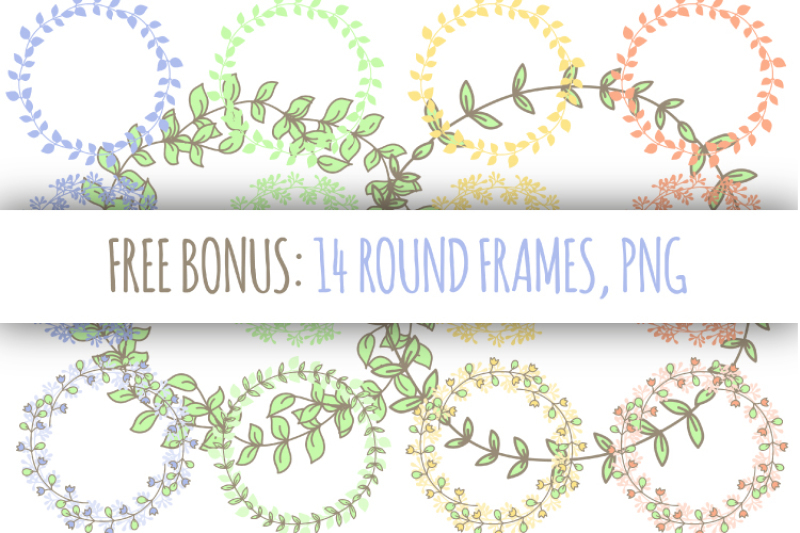 Free bonus round floral frame. 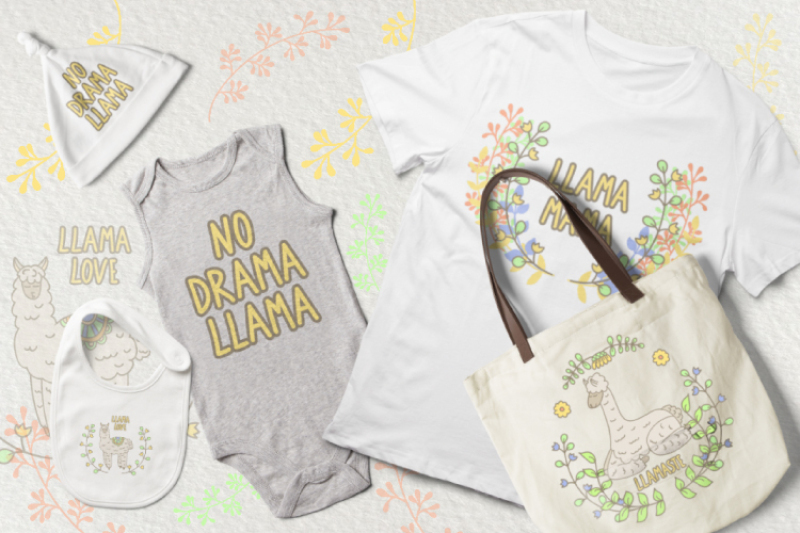 A large set of floral elements and cute llamas in hand-drawn style. 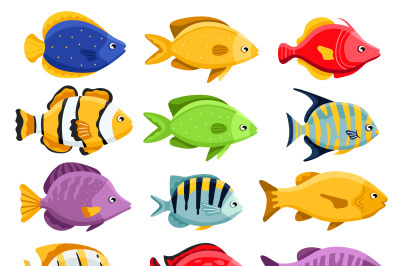 Each element is saved in a separate file, the format of the PNG on a transparent background. Also in the kit there are files of the format AI. 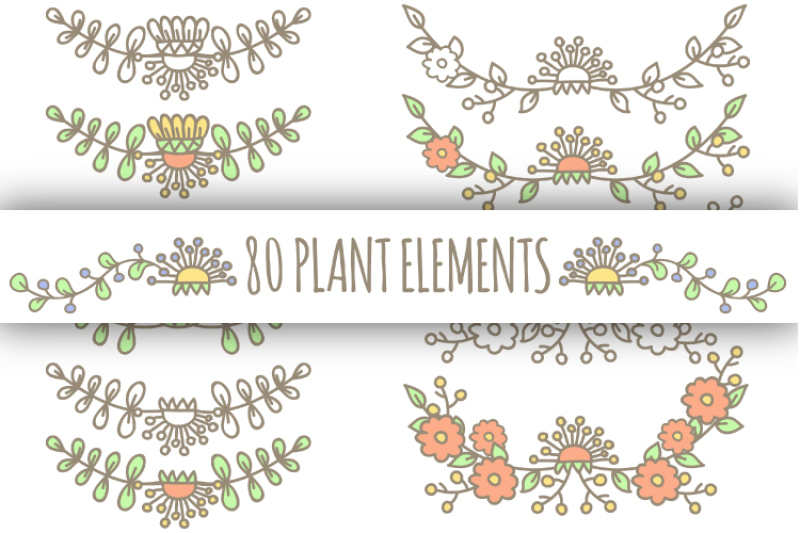 80 floral elements: flowers and twigs. Of these, 57 elements are painted and 23 elements in the form of a contour digital stamp. 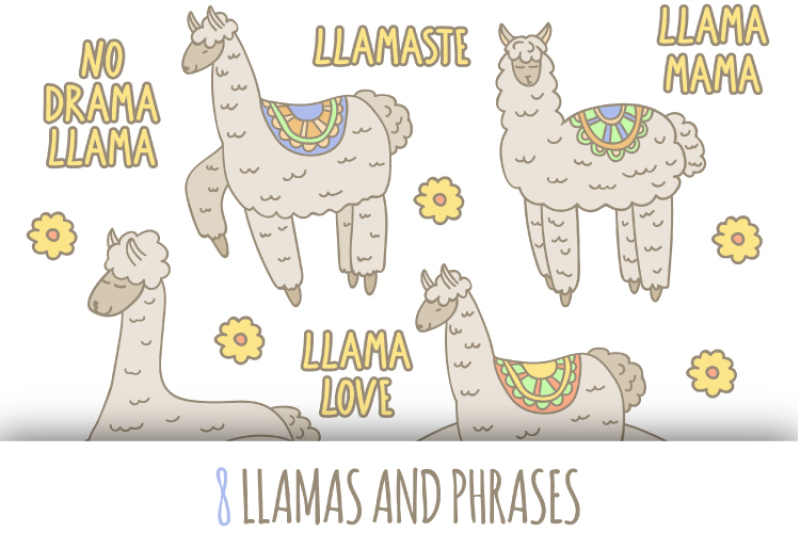 8 cute llamas and 8 funny phrases. 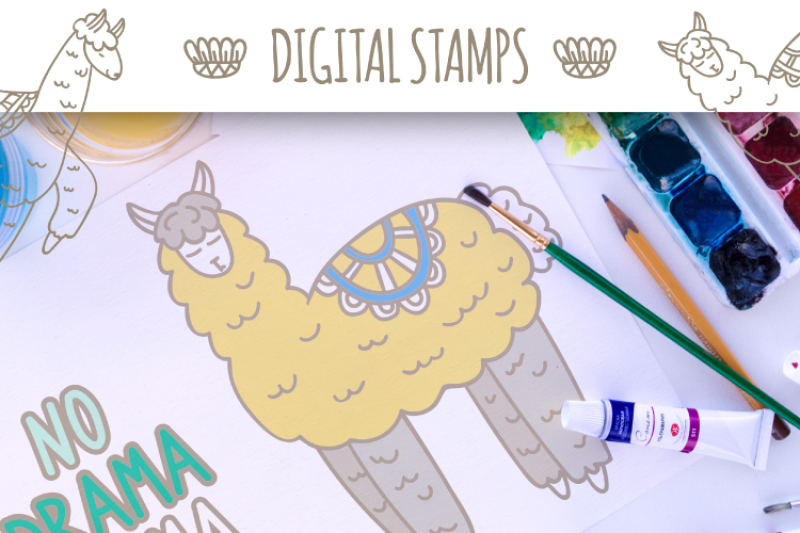 Painted and outline digital stamps. And a nice free bonus! 14 round floral frames and 3 small emblems with llamas and branches. Free bonus only in PNG format. This set is perfect for drawing postcards, invitations to a party or birthday, creating posters and leaflets. 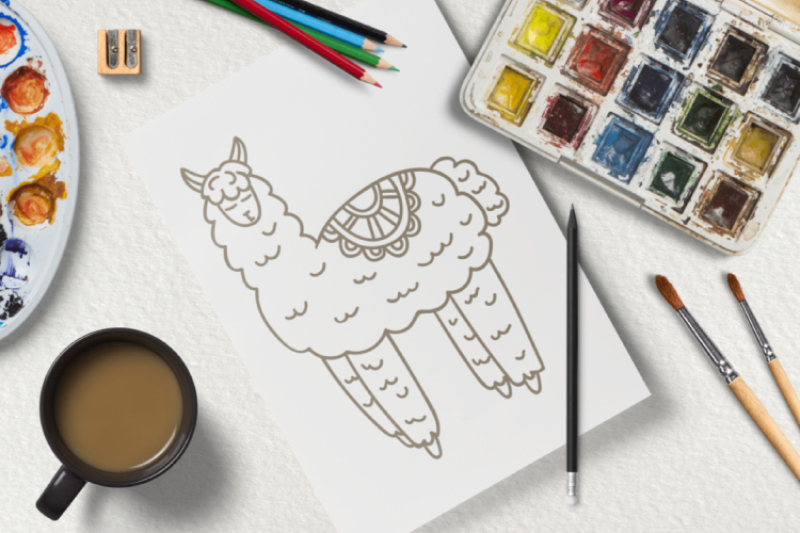 From floral elements and lovely lamas, you can make a wonderful decor for pillows, mugs, T-shirts and other things. 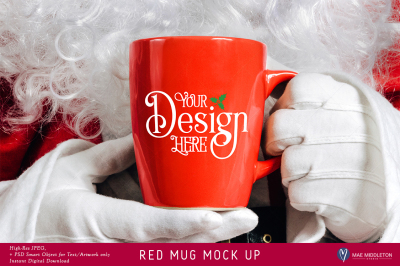 Manual style drawing makes the elements of this set cute and cozy. 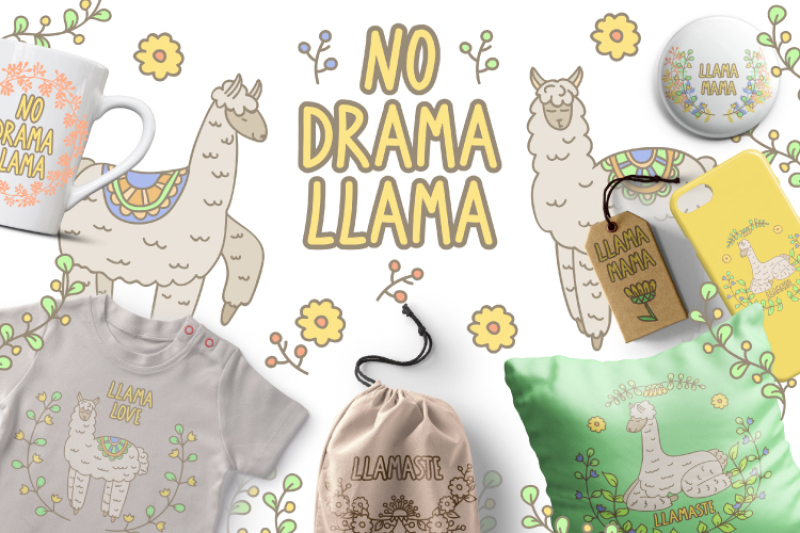 No drama with llama. Realize your dreams together with the llama. 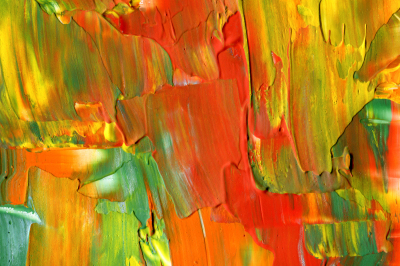 Abstract acrylic and watercolor painted background.